spanning his long and colourful life of travel and adventure. In 2015, Wood Storms, Wild Canvas was a Gold Medal Winner – Best Regional Non-Fiction – in the Independent Publisher Book Awards 2015 (19th Annual Awards)! With a foreword by Robert Amos, and words by artists Joe David and Luis Merino, historian Peter Grant, writer and businessman Arran Stephens, collector Alexander Von Kleist, daughter Tilikum Stephens, boat builder Nikos Daroukakis, and author and publisher Lloyd Kahn of Shelter Publications. With photography featuring Aija Steele and Doug Van Sickle. Other photography in the book is from Lloyd Kahn, Devin Card, Henrik Lindstrom, Bruce Stotesbury, Garth Woodworth, Danny Norrie, Anthony Chilton, Christopher Roy, David Shipway, Joaquin Pedrero, Neva Redding and Molly Grant. The book is edited by Marial Shea, cover design by Carey Graphics and final design by Jan Westendorp of Kato Design & Photo. SPECS: 9×12 inches, softcover with flaps, 144 pages, 237 colour and black and white photos. Over 50 full-page photos and full bleeds. 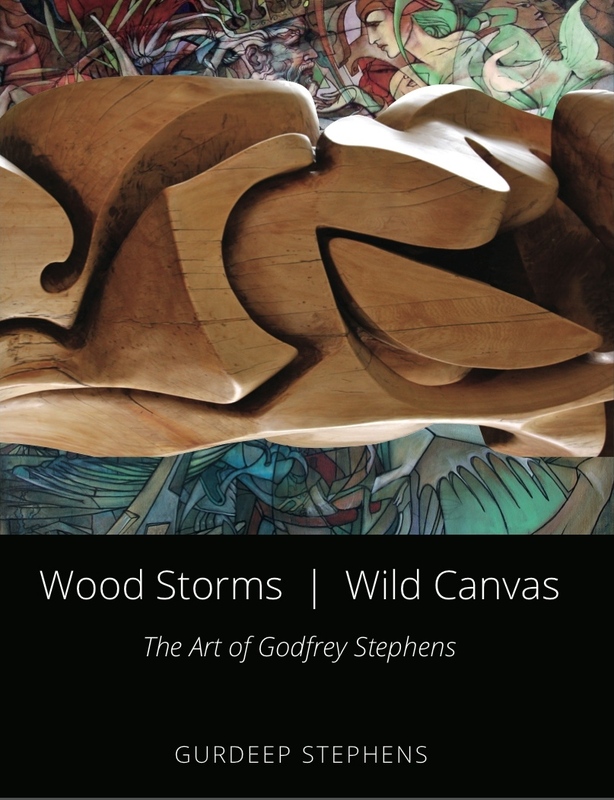 looking forward to adding to my collection this book of inspirational art by my old pal, Godfrey Stephens. more people need to know that creative souls like “Goof” even exist.